This exquisitely maintained Downingtown home has 3 BR, 2.5 baths, and much much more. 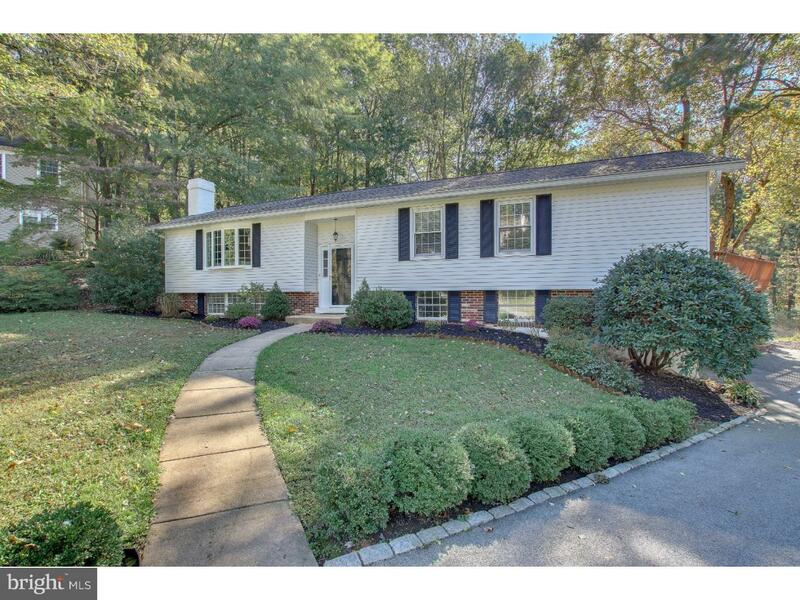 This home is situated on a cul de sac with and attractive lot. From the front door you go up to a wide open living room with a sunny picture window and fire place. The living room is is open to the dining room and from there to the kitchen. The kitchen has been updated with beautiful cabinets, stainless steel appliances and granite counters. The kitchen sink is under a window looking out to the deck and back yard. There is also a convenient peninsula bar in the kitchen with stools. And there is a door from the kitchen to the huge back deck. Down the hall there is an updated hall bath with jetted tub and 3 bedrooms. The main bedroom has another full bath with shower. The main bedroom also has a double glass door to the side deck. On the lower level, there is a large open family room that could be used for many various forms of entertainment. There is also an office or den that could easily become a 4th bedroom. And there is a powder room and a laundry room, and an exit to the 2 car attached garage. A long driveway in addition to the 2 car garage provides plenty of parking for family and guests. This property backs up to open land. Come see it today!